Does your cat regularly stays out for a night? Or do you want to protect your dog from getting lost or injured? It can be reassuring for you if they wear a tag with an engraved phone number or address. At MISTER MINIT you can choose a high quality pet tag from our broad selection of styles and designs that fit your cat’s or dog’s collar. After you have decided which suits your furry friend the best, our specialists engrave the front or back side with a name, address or phone number. Every pet tag of ours is thick, strong but yet lightweight. And bonus: rust and nickel free, so you are sure that the engraving will be clear and long-lasting. Does your pet already have a tag? 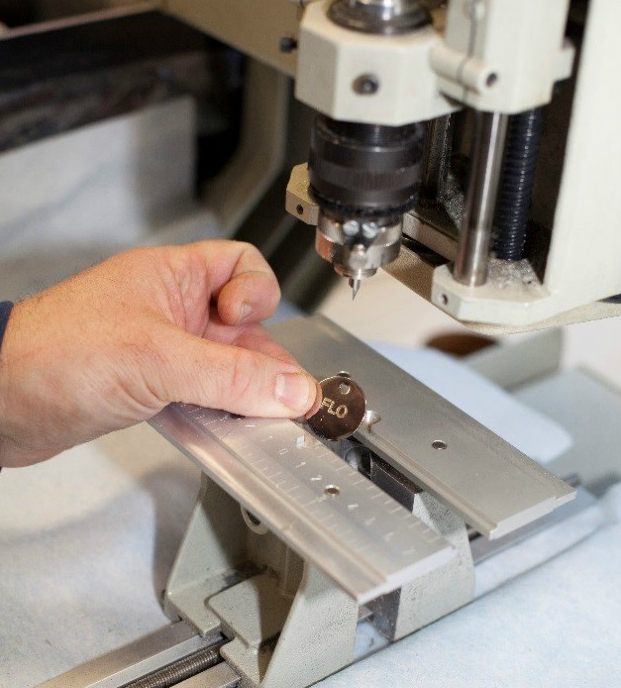 Visit a MISTER MINIT shop and discuss the possibilities with one of our engraving specialists.